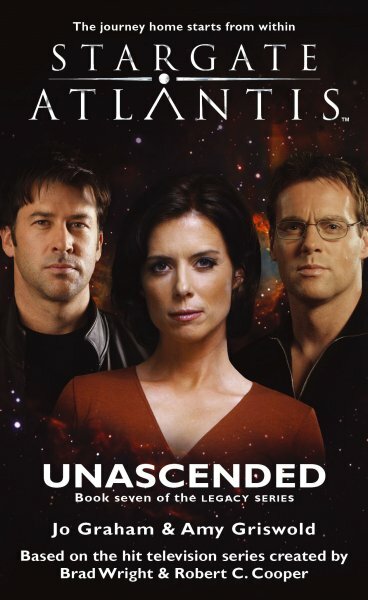 In the fragile peace following Queen Death’s defeat, Dr. Daniel Jackson arrives in Atlantis to indulge in some real archaeology. Naturally, things don’t go according to plan. 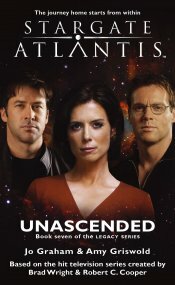 Convinced that an Ascended Elizabeth Weir saved his life, Dr. Rodney McKay argues that she must have escaped her replicator body in order to ascend. No one believes him, but when rumors reach Atlantis of a woman with no memory who calls herself ‘Elizabeth’, Rodney is determined to track her down. "They're going to be waiting at the river," Ronon said, catching up to Daniel. He sounded as though this were no more than an easy jog. "I know," John called from behind him. "But they don't look like great swimmers, so when we get there, everybody into the water." "We're going to have to go through these guys," Ronon said. "We’ve just met an entirely new intelligent species, and we’re about to make first contact by shooting them," Daniel said. "Try warning shots," John said. "And, yes, Rodney, I remember why that’s a bad idea, but we're heading straight for the river." "I'm just saying the two things I didn't want in my day were dinosaurs and fire!" Rodney said, unslinging his own P-90 and cradling it as he ran. "Birds are essentially dinosaurs, any paleontologist—"
Ronon grabbed the back of Rodney's jacket, thrusting him forward faster. "Shut up and run!"